Syncing your iPhone (iPhone 8 included) to your iPad is a great way to get your data from one device to another as well as keep the content on both devices updated. Usually, syncing your iPhone to your iPad can be quite easy. You just need your iCloud or iTunes account and you are ready to go. But there are situations when trying to sync iPhone to iPad is not very easy. For this reason, we’ve come up with a number of ways you can easily sync your iPhone to your iPad. We’ve also gone ahead and addressed a few problems you might experience when syncing the devices and a few solutions to get around these problems. Most of our important data and documents these days are stored in electronic devices. If you own an iPhone (iPhone 8 supported) or iPad you probably do not want to use data or cloud to transfer information between them. 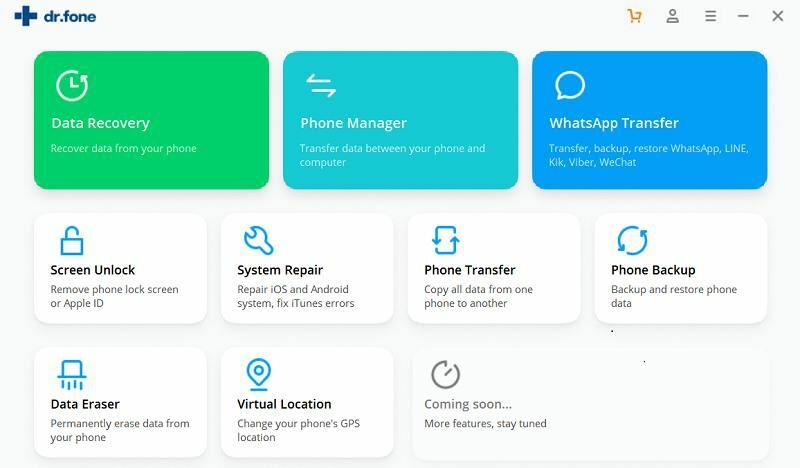 At times, it can seem a lot difficult when there is a need to transfer contacts, messages and apps from one device to another. Any confidential data on your iPhone might get stolen or lost by mistake. It is necessary that you can send across any important data on the iPhone to other devices like the iPad. While syncing between your iPhone and PC has been done by many of you, perhaps you havent tried syncing your iPhone to your iPad. Or perhaps you didn’t know that you could Yes, you can sync in the iPhone to the iPad. You can either use iCloud to sync the iPhone to iPad or send the data via Bluetooth. You can also start the syncing with the help of a computer. Theoretically speaking, syncing with iCloud is one of the easiest ways to sync the iPhone to the iPad. Here is why you need to sync an iPhone (iPhone 7) to the iPad. Firstly, since these devices can interconnect with each other you can easily share data, music and books. Secondly, either of these devices may be used as a hotspot for the assistance of the other in any case of problem connecting to the internet. Lastly, connecting an iPhone to the iPad might be useful in diagnosing any problem and ensuring that the devices are working properly. The easiest and by far the best way to sync your iPhone to your iPad is iSkysoft Toolbox - Switch (iOS&Android). 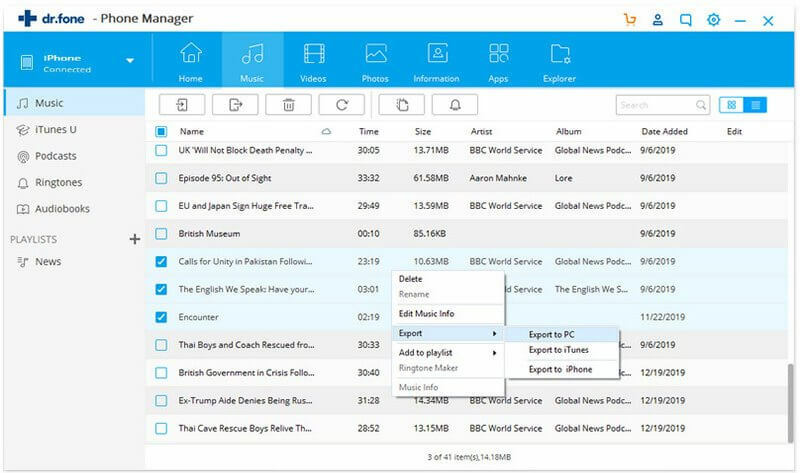 It is software that is designed to make it easier for you to manage your device. 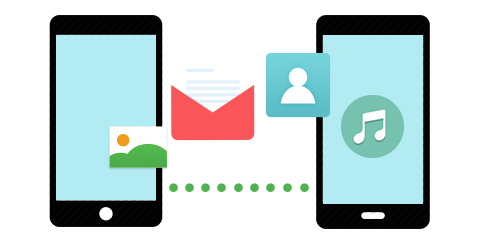 There are lots of reasons why you would want to use it to sync your devices. Data transfer is done in a single click and the whole process should take no more than 10 minutes. Data transfer is 100% risk- free. All the files you transfer will arrive in the same condition and quality. You can also use it to backup and restore your device as well as erase the device completely. Step 1. Assuming that you have downloaded and installed the software to your computer, launch the program and you should see the following primary window. Step 2. Connect both the devices to your computer using USB cables and authorise the computer on the device if you are required to do so. Then Choose the “Switch” option to launch the transfer option. You should see both the devices as well as the data available for syncing. Step 3. 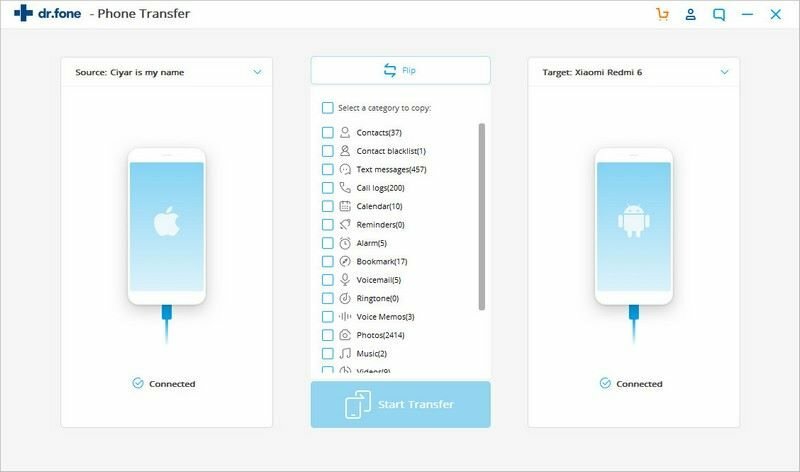 Now select all the data you would like to sync to your iPad and then click “Start Transfer” and the program will begin to transfer the chosen files. Come on, let's download the software and try! iCloud is one of the easiest ways by which syncing can done between iPhone and iPad or any other Apple device. This is because iCloud has been built into most of the new iOS devices and MAC’s and offers easy access to contacts, messages, apps, photos and the like. Step 1: First set up iCloud on the iPhone and iPad. The iOS should be of the latest version. Then open the Settings app on the iPhone and click the iCloud button. Step 2: Enter the Apple ID and password and click the sign in button. Step 3: Select icons like apps, contacts, etc and click merge to combine with the iCloud database. Step 4: Repeat the procedure on the iPad by signing on the iCloud page and entering the same credentials. Step 5: Make sure that the wi-fi is switched on both iPhone and iPad. You can also manually sync your iPhone to iPad using iTunes. To do this, follow these very simple steps. Step 1. 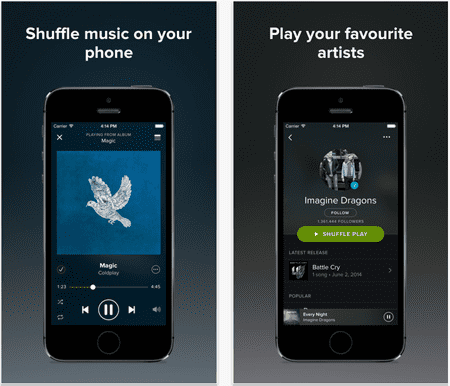 Launch iTunes on your computer and then connect the iPhone to the computer. Step 2. You should see your device appear in the upper right hand corner. Click on the device. Step 3. You should see a summary screen and a list of tabs along the top. 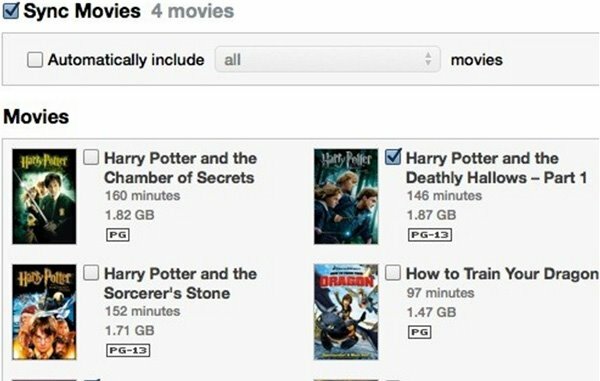 Select the tab for the type of media you would like to sync to your iPad such as music, tones, movies, books, podcasts and more. Step 4. Check the checkbox for the media type you would like to sync as well as the specific items you want synced. Step 5. Click Apply in the lower right hand section and wait for iTunes to finish syncing before unplugging the device. You can connect iPhone to iPad with the help of Bluetooth as well. It is also known as Bluetooth tethering or internet tethering. A Personal Hotspot feature syncs both the devices via Bluetooth also allowing you to maintain a stable internet connection for both the devices. Step 1: Select Settings on the iPhone and tap on General. Step 2: Now choose Network. Step 3: Click on Cellular and tap Personal Hotspot. The iPhone needs to be a iOS 4.0 or higher version. Step 4: Return to the General screen and turn on the Bluetooth. 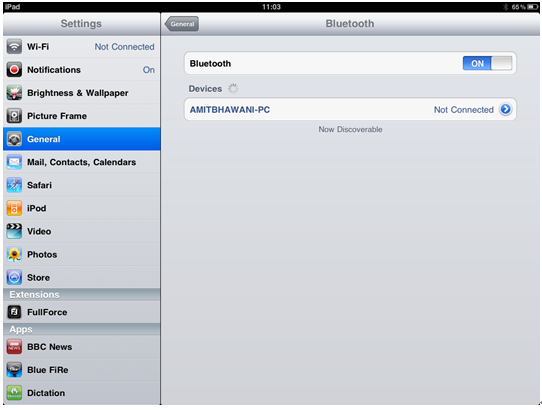 Step 5: Now verify whether Bluetooth has been switched on the iPad by going to Settings and switching on the Bluetooth. Step 6: Allow the iPad to scan for the iPhone and verify whether the six digit number on both the devices is the same. Step 7: Pair the devices. It is not uncommon to experience a whole host of problems when trying to sync your devices. If you are particularly experiencing these problems with your iCloud automatic sync and your content doesn’t show up on all your other devices, here’s what you can do to fix this problem. 1. If you want to Sync without Wi-Fi turn on "Use Cellular"
If that error occurred while you were trying to sync over Wi-Fi you may want to try syncing using cellular. 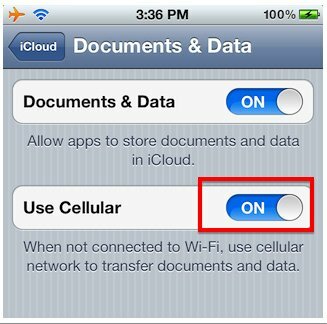 To do this go to Settings > iCloud > Documents & Data and make sure that “Use Cellular” is turned on. If you use cellular data and are still having the same problem, consider restarting all the devices associated with that iCloud account. To restart iOS devices hold the sleep/wake button and the power button until a red slider appears. Slide to power off and see if the problem is fixed when the device turns on again. If none of the above solutions work, try resetting documents in iCloud. You can do this by simply following these steps. Step 1. 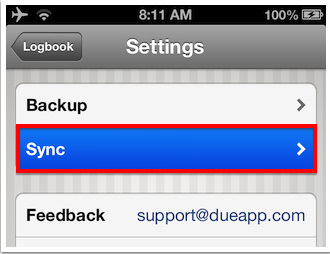 In Logbook on the iPhone go to Due > Settings > Sync. Step 2. 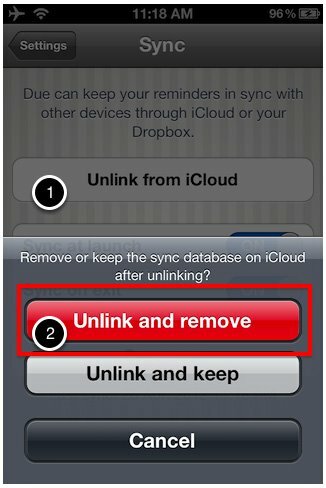 Next tap Unlink from iCloud > Unlink and remove. This will remove any Due database stored on the iCloud. 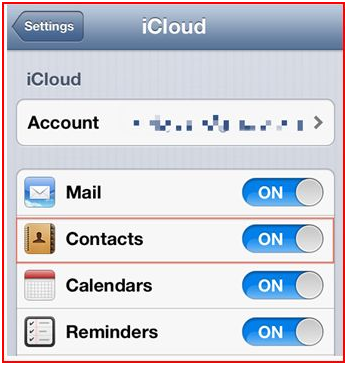 You don’t have to worry, your reminders and timers are safe and you can easily upload them again to iCloud later. Step 3.Make sure that Due is not syncing to any other service. 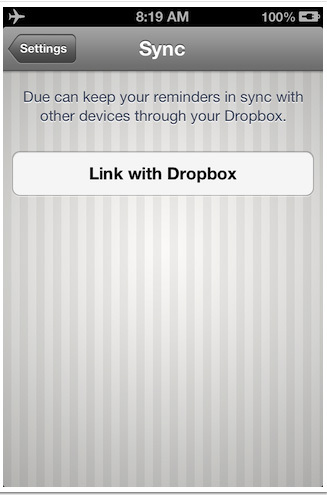 You should now see two options now; link with iCloud or Dropbox. 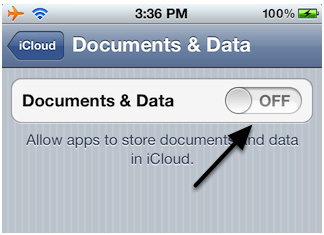 Because we are turning off the “Documents & Data” component in iCloud, the iCloud option will no longer be there. Step 4.Now return to the Home screen on your device and then launch the settings app. 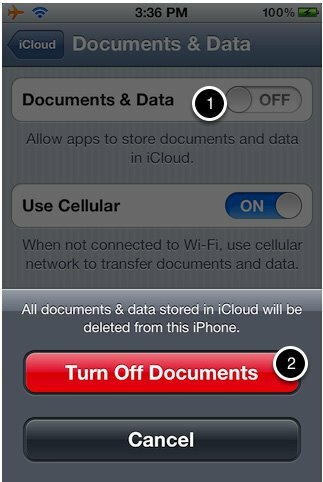 Choose iCloud > Documents & Data. Then turn off Documents & Data. Step 5.Now return to Due and make sure that iCloud is now gone. Step 6.Now go back to Documents & Data and then re-enable Documents & Data in iCloud. Step 7. 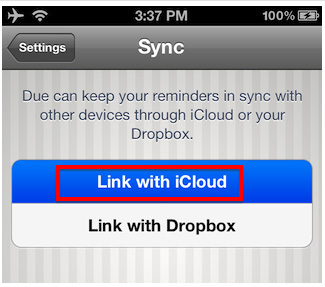 You will now notice that the “Link with iCloud” option is back in Due > Settings > Sync. Choose it and then wait for a few moments while the changes are uploaded to your iCloud account. 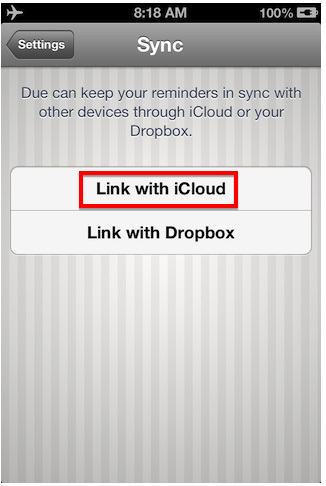 You should now be able to easily sync the devices linked to your iCloud account. If the problem is not fixed repeat the steps above on all the iOS devices that are linked to that particular iCloud account. 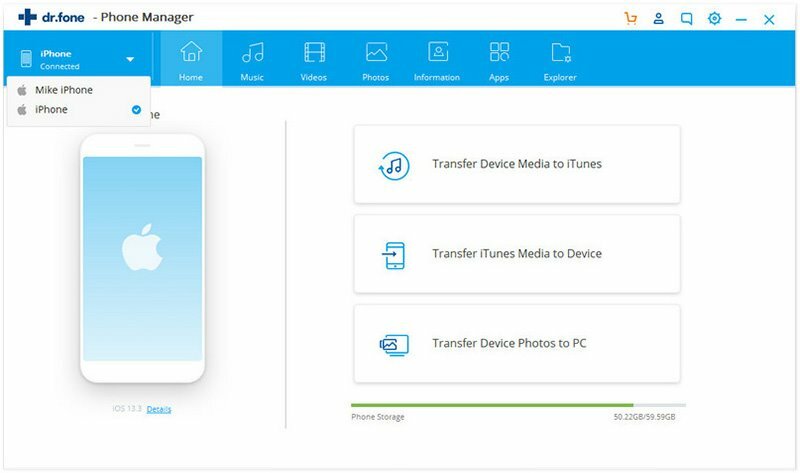 iSkysoft Toolbox - Transfer (iOS) is an application that can help you with transferring music from one Apple device to another. 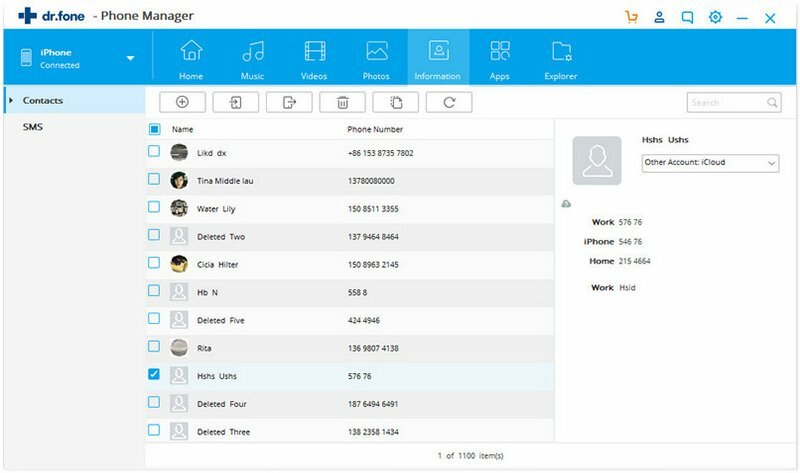 The software was designed with the intention of making it convenient for Apple users to transfer music files and media, providing back up and management tools and act as support for the latest Apple devices. Step 1: First, download and open the program on the computer. Connect both your iPad and iPhone to your computer with 2 USB cable at the same time. 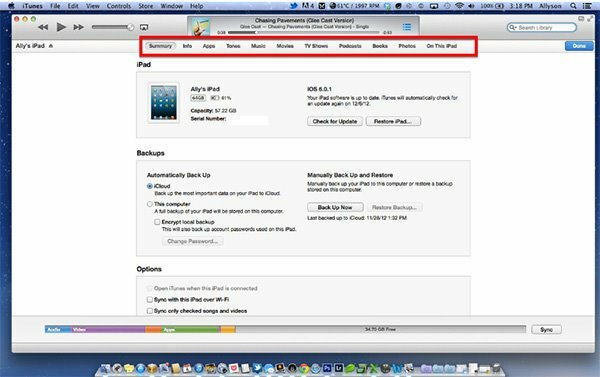 Please make sure the information of your iPad is shown in the window of iTransfer. 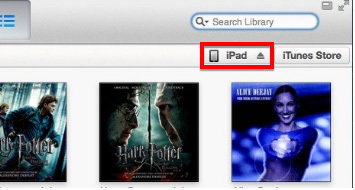 Step 2: If you want to transfer music from your iPad to iPhone, you can just click on the Music tab. Then select the music you want to transfer. Now click Export >> Export to (name of your iPhone). If you want to transfer videos/photos, you are supposed to go to the corresponding tab and do the similar steps. That's it!